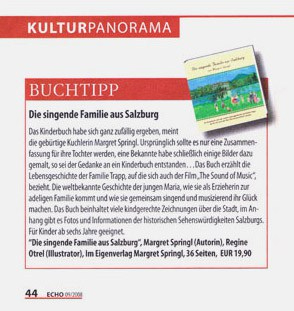 by singing and playing music together. 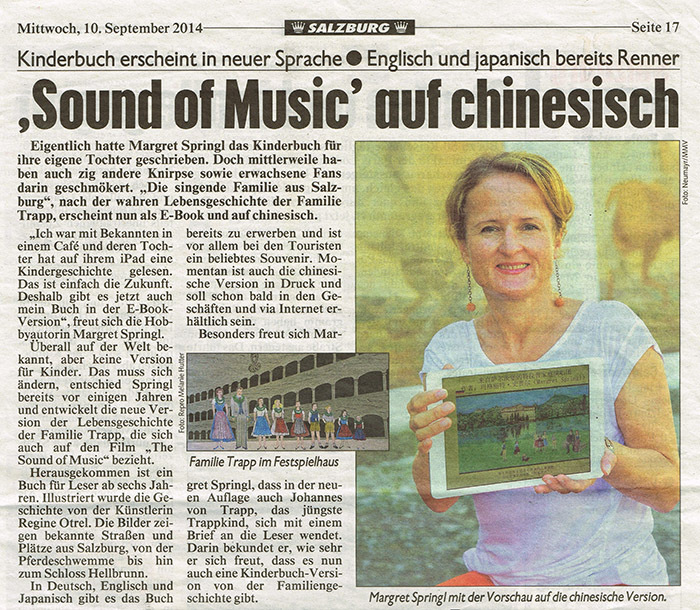 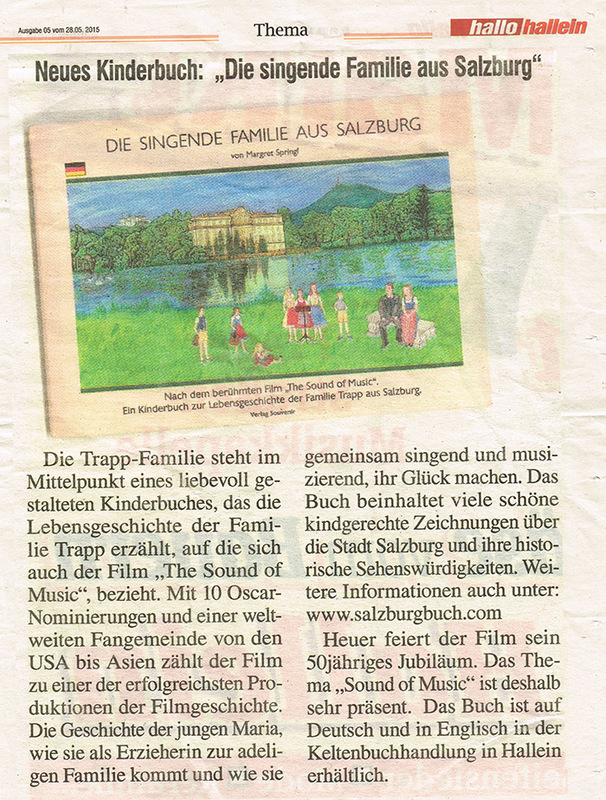 Based on the famous film „The Sound of Music”. 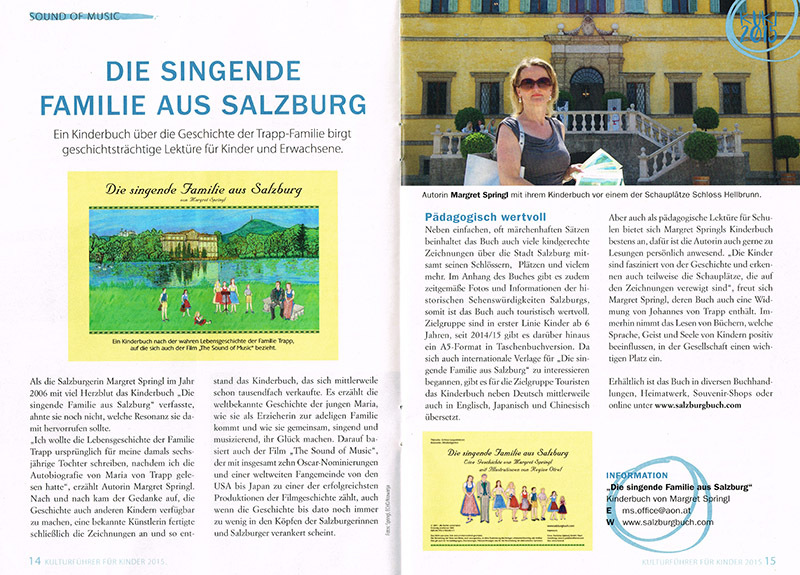 with insightful and beautiful illustrations of Salzburg. 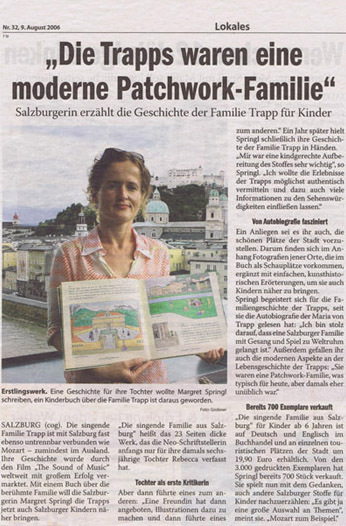 historical points of interest of Salzburg city and nearby. 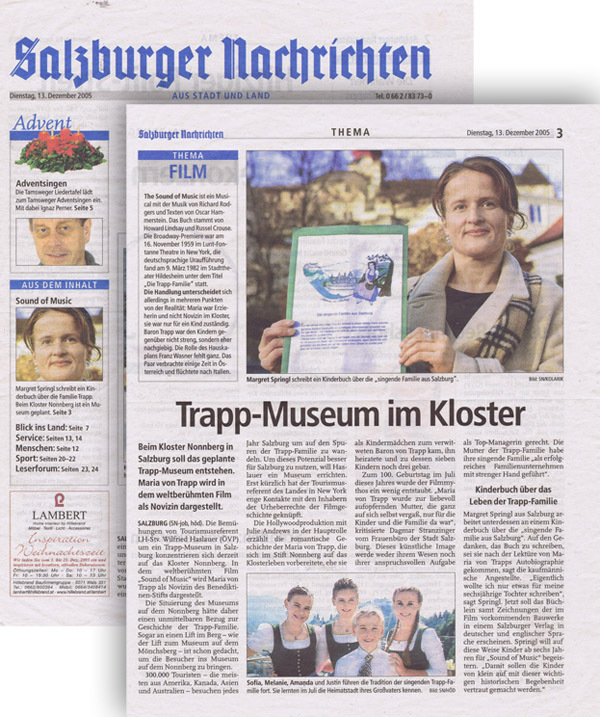 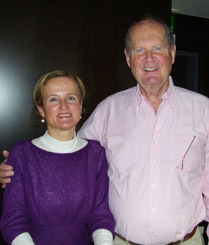 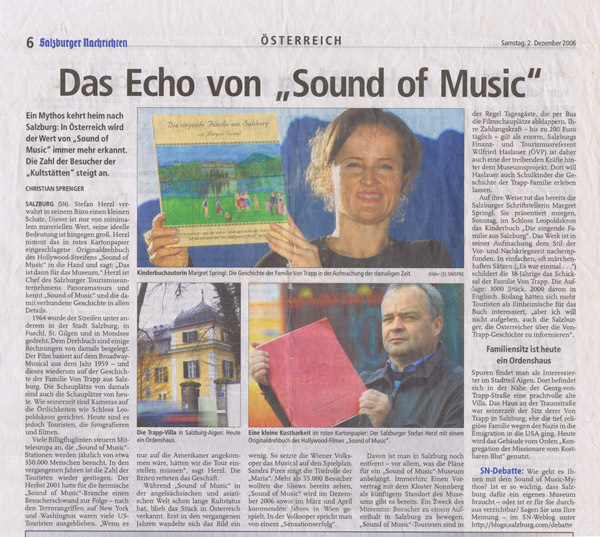 The Author meets Johannes von Trapp in 2011 and gets a dedication for the book.